It’s the common language of EO users. I love the smell of almost all oils, and of course I love that they are so beneficial. I try to have some of the basics with me at all times, even and especially when we are on the road. But of course, it’s easy to walk out the door without them. So hooray for my two newest items that I’ve acquired for my Essential Oils! Using both of these will be so much better than my current system which has been “throw several bottles of oil into my purse and hope they don’t get lost.” See the handy little pockets inside the travel bag? Fabulous. And it’s the perfect size to stash inside our snack tote so that between games or events if my kids come up and say, “What do you have for my sore neck/knee/throat/head/arm?” I don’t have to scrounge the bottom of my purse in hopes of finding the right oil. 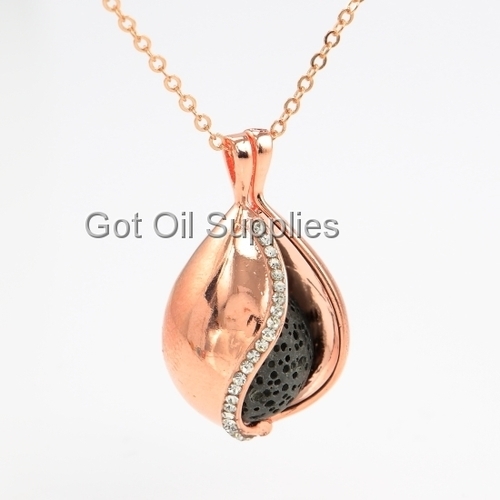 Then, of course, there’s the pretty necklace I’ll be wearing that holds a few drops of whichever oil I need for the day. I received these from GotOilSupplies.com and am excited for you to check them out! I’m most impressed with the quality of their products paired with their inexpensive prices. My favorite of all they offer is the jewelry and the travel bags, but you’ll see that they have all variety of essential oil necessities. Check out all their Diffusing Necklaces to pick your favorite, allthewhile thinking about the people on your Christmas list. Then pick out your favorite Travel Bag because Got Oil Supplies is giving one away to FOUR different winners! Do you see how inexpensive these are? Their prices make these purchases so doable. Hooray for practical items that are so cute and reasonably priced! Ready to make it easy to take your oils with you? Enter to win this great giveaway in the Rafflecopter below. I’ll draw 4 random winners on Thursday, October 12. How pretty and practical! I’m impressed with the prices too and would love to snag the pendant diffuser necklace and the pink polka dot bag (easy to see when heading out the door!). I like the little jars to mix up different scents of creams. I like the black with dots bag and the filigree locket. The bags! I’m a sucker for bags, especially ones that help keep those bottles in place. I also love the diffuser jewelry. Pretty! I love the idea of the necklace so that I can have whatever oil with me for the day. I love the natural lava stone essential oil stripe pendant necklace. The Night Owl necklace is adorable. I love owls! Cute bag and necklace as you posted them. Seems like it’d be hard to choose!!! Those keychain size bags that hold 8 oil bottles are a great idea! The damask travel bag is very pretty! Love this bag! Perfect for keeping the oils upright. I like the arrows locket necklace. I’m not much of a necklace wearer, but if it was to use oils for health, I would. And the three arrows would be significant for our 3 sons. Cute. I love the arrows locket necklace! It’s beautiful! Wow. Very hard to choose! The filigree pendent and the purple polka dot bag are beautiful ! Wow – their products are so very affordable!! Thanks for introducing us! :) I love the damask bag with the hot pink trim. The jury’s still out on which necklace I like best. That little sea turtle is awfully cute, but I also like the cube. Decisions, decisions! I love the arrows necklace, and the black keychain bag w/the amber rollerballs…no more essential oil spills in my purse! :) thanks for the giveaway! I love the pink dot bag. So cute! So many cool oil accessories! Love the purple (favorite color!) w/white polka dot bag and did you see the adorable paw print necklace?! Love it! I need one of these travel bags! So cute! I love that they have a rose gold necklace! I also like the pink polka dot bag! So many cute things! I love the tree of life necklace! Thanks for the giveaway! The damask travel bag is super cute! I love all the great supplies to make your own salves, etc. I like the black and white polka dot travel case. I’m not picky, so I would love any of the bags. They have so many nice things. I like the cream pump dispenser and the ESSENTIAL OIL CAROUSEL DISPLAY RACK. I would love a bag for holding my essential oils! Thanks for the opportunity for the giveaway! I like the hot pink travel bag with the polka dots! I love the damask bag, the turtle pendant and the circle of life diffuser bracelet! I can’t wait to share this site with my oily friends! I love wearing a diffuser necklace! It let’s me have oils close to me without overpowering others around me. I would love the organizing bag! I like so many of the necklaces. I can’t decide if I would like the lava ball or felt pad better. Does anyone have experience with either of these? The travel bag would be so nice to have! Love the travel diffusers. Thanks! Thank you so much for the chance to win the travel bag!! How handy that would be!! Love the damask print bag! 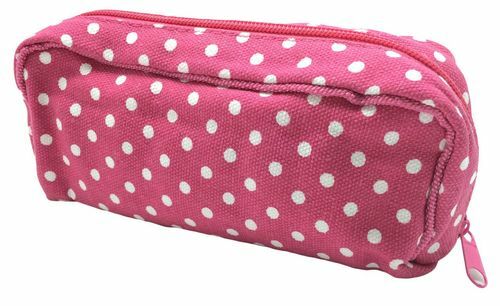 I like the hot pink with dots travel bag. It would be nice to use for my oils. I love the diffuser necklace! I love the pink bag and the owl necklace! I love the necklace!! The pink polka dot bag is super cute too, I love polka dots!! The damask bag with hot pink trim is sooo cute! I LOVE these cute bags!! I want one! Thank you for sharing!! I like the GREEN DOT ESSENTIAL OIL TRAVEL BAG. I really like the necklace. Right now I put my essential oils on my bracelet. Thanks for sharing these great items! I love the rose gold necklace and the damask with pink trim bag . Oh and also the brown zipper bag. So many to choose from! I like the damask print bag! I love the owl necklace! thanks!! !